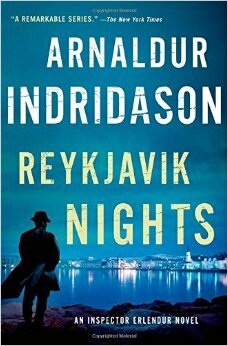 After the surprising ending of last year’s Strange Shores, Arnaldur Indirdason is back with Reykjavik Nights, a prequel to the series that explains to readers how Insepctor Erlendur became interested in detecting. Opening with the young policeman walking a beat on Reykjavik streets, he and his colleagues face the kind of crime you’d expect: drugs, domestic violence, traffic accidents, and a death Erlandur can’t seem to leave alone. It should be a simple matter: a tramp he knew from his rounds has been found drowned in a ditch, yet the young cop find himself drawn to the case. Talks he’s had with the man in the past haunt him, and he soon finds himself connecting this death to that of a missing woman. With dogged persistence, Erlandur will trace things to solving the case, and ignite his own future. An interesting way to see how this character became interested in detecting. Yrsa Sigurdardottir has been called the Queen of Crime with good reason. 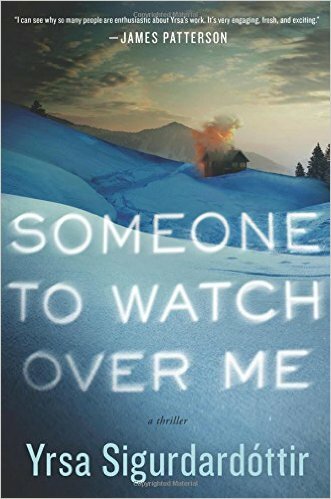 In Someone to Watch Over Me, she brings lawyer Thora Gudmundsdottire her most interesting case yet. Jakob has Down’s Syndrome and has been convicted of burning down his assisted living centre, killing five people in the process. He resides now in a secure psychiatric unit, where one of his fellow inmates has hired Thora to clear the boy of the charges and prove his innocence. Her reluctance to take the case is fueled by her distaste for Josteinn Karlsson, child abuser and sociopath, who has inherited funds from his mother to pay her. Yet she’s strangely drawn to Jakob and as she starts a routine investigation, things don’t add up. It soon becomes clear to Thora that to prove Jakob’s innocence, she must track down the real murderer. The case of a young hit-and-run victim will become tied to the case, as does the financial collapse of Iceland and it’s affect on Thora’s family life. Readers will become as caught up as Thora as she unravels what really happened on that fateful night. 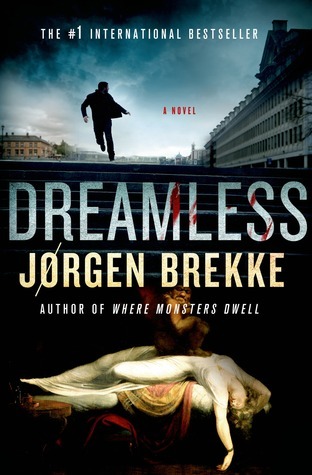 Jorgen Brekke’s first book introducing Norwegian police detective Odd Singsaker is now in paperback. 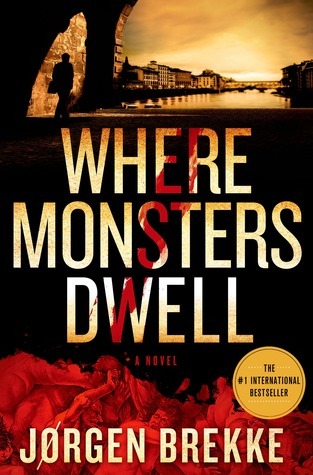 Where Monsters Dwell connects a US case with one in Norway when there are similar murders in Trondheim and Richmond, Virgina. US homicide investigator Felicia Stone is soon seconded to Singsaker once the connection is known. Recovering from a divorce and a brain tumor finds Singsaker trying hard to keep up with his team and the American detective. Along the way he becomes friends with an interesting character, a young library researcher, Siri, who will be a continuing character. Soon the two detectives find they must delve deeply into history, to a sixteenth-century book called The Book of John which has been bound in human skin. The book is thought to be the work a Middle Ages serial killer who stalked Europe. As they race to find the new killer replicating these centuries-old murders, Felicia and Odd find themselves drawn to each other, which helps to alleviate their grisly investigation. A stunning debut with interesting and creative characters. Read this one first to follow the relationships of the two detectives. Chief Inspector Odd Singsaker is on the case once again, married now to Felicia Stone. His newest case starts with the killing of a young singer found murdered with an antique music box resting on her body, playing a lullaby that has a familiar ring. With ties to a letter and events of of late 18th century, the music and the lullaby with have far-reaching consequences for Singsaker and turn out to be the clues Singsaker needs as another young girl is found murdered under similar circumstances. With a third young woman kidnapped, time is running out. And then his team will be affected just as Felicia disappears. This installment solves the mystery but will leave the reader yearning for more of Singsaker’s story.